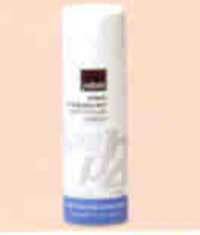 to any firm surface, used in picture frame restoring. It is an old craft skill which traditionally has many trade secrets extensively used in decorative calligraphy. These notes are an introductory guide to modern practice and are no substitute for professional training. RAW WOOD - Sand smooth, apply a coat of sealer, sand once more lightly. For a smooth finish gesso can be applied to the sanded wood, sand between coats with a very fine grade sandpaper. GLASS & VINYL - Make sure surfaces are free of dust, grit and oil based residue. Wipe over with methylated spirits. PLASTER & TERRA-COTTA - Seal with two coats of sealer after thoroughly cleaning with either detergent and water or meths. PREVIOUSLY PAINTED OR VARNISHED OBJECTS - A general clean and light sanding will suffice unless the paint is thick, uneven, or chipped. In this case the piece should be thoroughly stripped, then sealed. 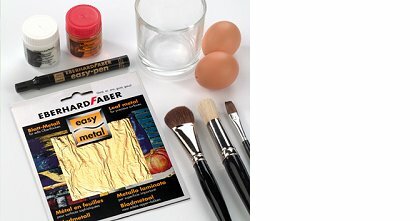 After preparing the surface apply one or two coats of bole, ( traditionally used to create the eggshell paint applied beneath the gilded surface), or for modern gilding acrylic paint acts as a satisfactory basecoat. Dilute the acrylic paint slightly with a matt medium so that the finish is less shiny, and ready to receive the size and leaf that will be applied . 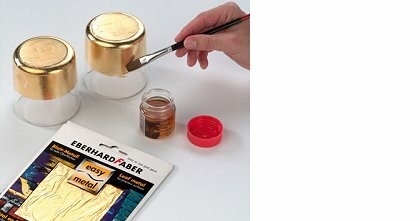 Gedeo Gilding Paste, Eberhard by Staedtler or alternatively an acrylic medium or a good PVA glue thinned to a milky consistency can be used. 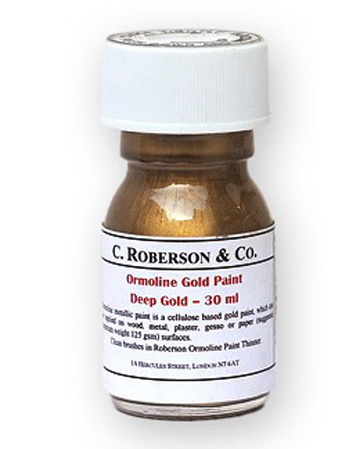 A traditional oil based size such as Japan Gold Size works best on hard smooth surfaces but will take longer to dry sufficiently to accept the leaf. Apply size over the bole/ acrylic painted base coat in smooth even strokes, avoiding puddles and runs, (as the leaf is wafer thin any marks underneath will be visible when finished). As the size dries it will become clear with a tacky consistency. To test if the size is ready to accept the leaf lightly press your knuckle to the surface, if it clicks when you pull it away it is ready. Do not test using your finger tip as it will leave a print that will show through the leaf, or will remove the size from that area. Size will remain tacky for some time, though if leaving overnight make sure the surface is covered and dust free. 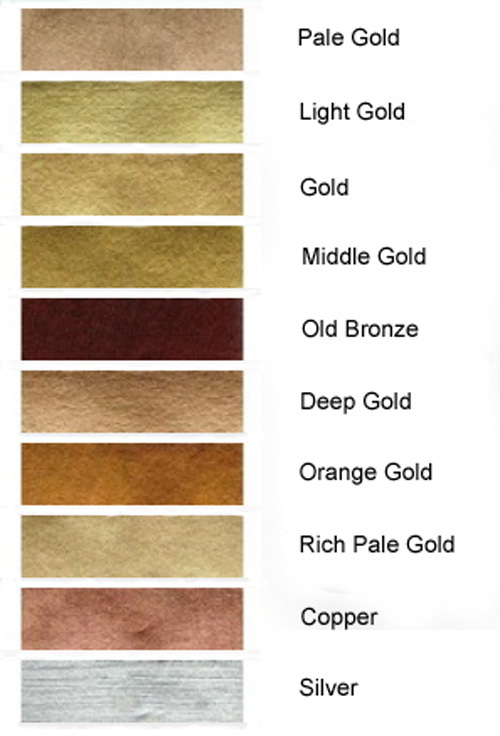 4) APPLYING LEAF - the tricky bit - Gold coloured leaf is available in genuine gold and imitation leaf, the genuine leaf will be richer in colour and finish, different coloured metal leaves are also available. Leaf also comes loose or as transfer, (attached to tissue paper), making it easier to apply. Loose leaf requires special tools and skills therefore we advise that you start with transfer. Wear cotton gloves when handling to avoid tarnishing when working with silver or imitation gold, or rub talcum powder on your hands. 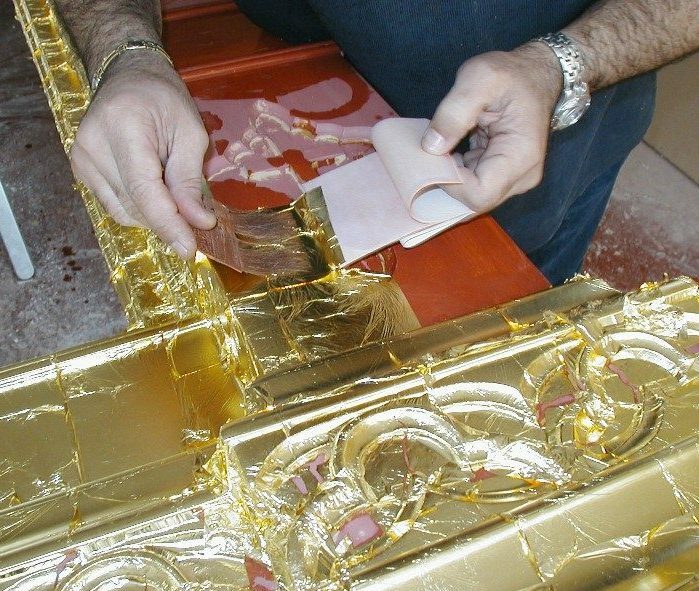 Once the size is tacky place the gold leaf on the object and brush it gently with a very soft brush. Lay the next sheet of leaf down so that it overlaps slightly, and repeat until the surface is covered. When applying to raised surfaces you may need to use small pieces of leaf to fill crevices first, and use a soft bristle brush to tamp the leaf into the grooves. To get a shiny metal finish use a burnisher - a pen like tool with a smooth agate stone as a point. For the restoration of porcelain and other ceramics for the repair of antiques, objects d'art, Victorian dolls, picture frame mouldings, etc. For sculpting and modelling. For the repair of white domestic chinaware and for filling scores and dents in white domestic equipment e.g. washing machines, refrigerators, etc. 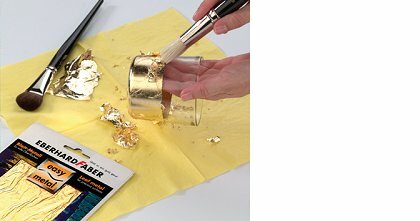 You will need 1 pack of EASY METAL leaf metal in gold (no. 8780-11), size (no. 8782 BK), shellac . 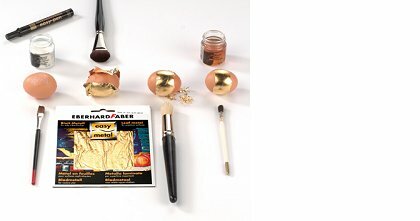 In addition, you will need 2 - 3 whisky tumblers, several blown-out brown chicken eggs, 1 broad soft hair brush for applying the leaf metal with, 1 bristle brush for sweeping off with, 1 flat brush for applying the size and shellac with and a little nitro-thinner for cleaning the brushes. EASY METAL only sticks to surfaces previously coated with size. To make the golden lanterns, evenly apply a thin coat of size as far up the sides of the glasses as required and to their bases. Leave to dry for approx. 15 minutes until the milky colour turns clear. Now carefully place a sheet of EASY METAL over the coated glass and press on well using the broad hair brush. Proceed bit by bit until you have covered all the areas covered in size with gold. You may find it easier to divide the leaf metal up into smaller pieces. Hint: Use the harder bristle brush to sweep any excess leaf metal off the glass. To prevent air humidity causing the golden coating to darken, you need to protect the leaf metal with a coat of shellac. Then allow everything to dry. Follow the same procedure for the golden eggs as for the lanterns! 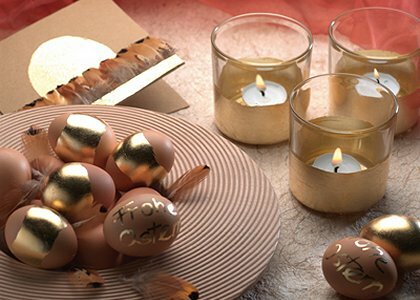 Begin by applying a layer of size to all of the areas on the eggs you want to cover in gold. Use a small brush if you want to write or make patterns on the eggs! Leave everything to dry! Then, as already described in steps 3 to 5, place the leaf metal on top, sweep off any excess and go over again with a coat of shellac. EASY METAL adds a touch of class to greeting cards too! Simply draw your design on with size using a brush > and, once dry, add the leaf metal as described above. It is not really necessary to add a protective coat of shellac here. EASY METAL is also available in silver, copper, abalone and multi-coloured versions. With imitation leaf metal, you can add a sophisticated touch to existing deco objects both quickly and effectively, e.g. picture and mirror frames, candlesticks, lamp shades, serviette rings, vases ? It is ideal for picture frame restoration work. 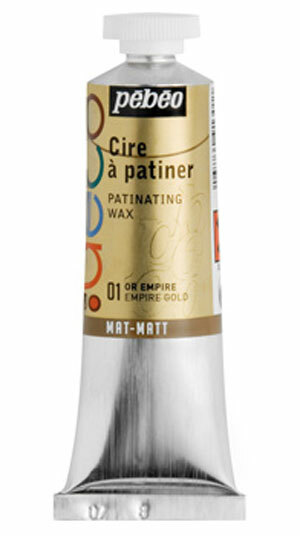 1 x 37 ml The gilding wax consists of fine metal particles coated with a binder of wax and acrylic resign. 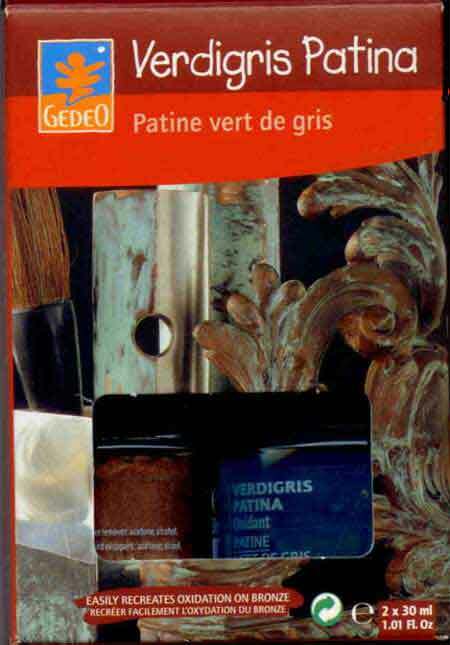 The combination of patinating bases and gilding waxes creates a rich range of classical or contemporary patinas. Suitable for all types of surface, wood, plaster, cardboard, glass & metal. Traditional range of Patina effects to create precious objects with delicate finish. It brings refinement and elegancy, romance and sweetness. Ideal for most objects and furniture. 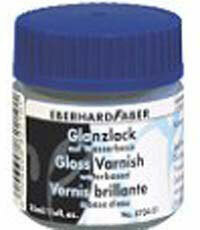 Apply with a flat brush for a clear defined patina or a cotton wick for a soft patina. 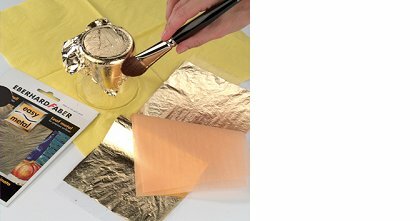 use with gilding paste over clean dry objects, wood plaster, glass, metal, cardboard etc, leave to dry for 15 minutes then apply with a soft brush can be varnished. Ideal for most objects and furniture. 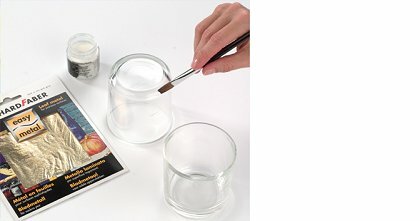 200 ml spray tin , Varnishes improve the qualities of resistance to ageing of acrylic colours, harmonize the difference in brilliance in the picture and increase the depth of the colours. When the colour is applied very thickly, wait 1 to 2 weeks before varnishing the work, suitable to varnish gold leaf.